Random collection of photos from Elle that inspired me and my accessory musings. 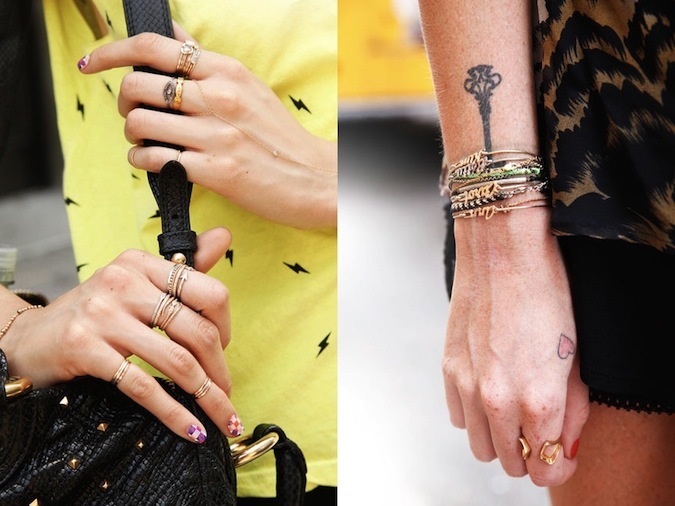 Some of my current obsessions include statement bags, dainty rings, stacks of bracelets and gold hardware. oh my gaaaaah SO obsessed with all of your accessory photos!!!! I want everything! can't ever get enough of these shots. love that look with the distressed jean shorts and black and white print clutch… so amaze!!!! xO! OMG!! 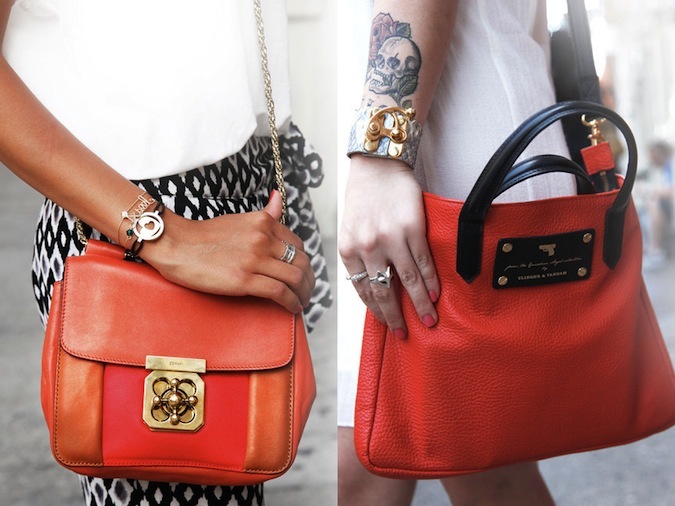 Loving the accessories.. wants me wanna shop some more! !